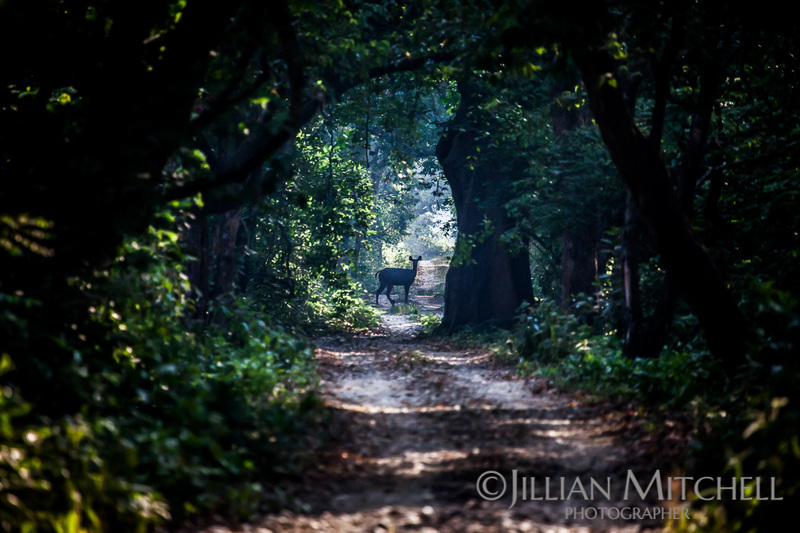 Walking through Bardiya National Park in the early morning, on my second day of seeking out a tiger, I had a moment! The result of that moment is the above shot! It was totally fleeting where all I managed was a single frame. The deer had walked out of the dense forest and stopped on the path ahead it turned to look at us; then it was gone. Unfortunately I didn’t get to see a tiger that day – however my camera did – I have a shot where there’s an orange blob way off in the distance. We came close a second time, however a loudmouthed guide and his clients managed to be raucous enough on sighting the elusive creature to scare it back into the bush.